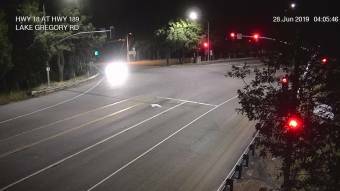 Webcam Crestline, California: Crestline - Lake Gregory Drive - Una veduta della situazione attuale del traffico. San Bernardino, California: Caritas Communications, 10.4 km. San Bernardino, California: San Bernardino - Glen Helen Parkway, 15.3 km. Redlands, California: Redlands - Nevada Street, 18.2 km. Loma Linda, California: Loma Linda - West of Tippecanoe Avenue, 18.4 km. Colton, California: Colton - Mt. Vernon Avenue, 19 km. Colton, California: Colton - West of 9th Street, 19.2 km. Fontana, California: Fontana - North of Duncan Canyon Road, 19.7 km. Fontana, California: Fontana - Sierra Avenue, 19.9 km.